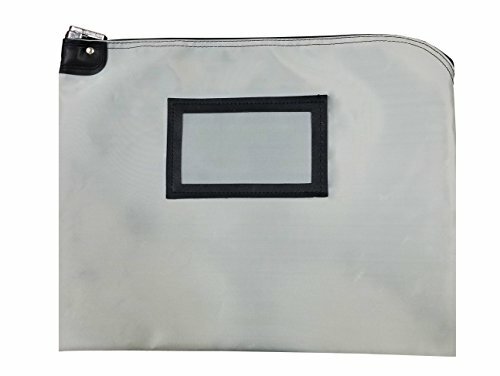 HIPAA Lockable Security Bag designed for maximum strength and durability for the security industry, the heavy laminated nylon document bag is constructed of durable tear resistant material. The locking system is utilitarian with heavy construction and two keys. The key is not required to remain in the lock to secure the bag. Meets HIPAA Privacy Rules for storage and transportation of medical records. Designed to hold and secure large documents. HIPAA Compliant for Privacy Act Management. Dimensions 16" x 20". Holds legal size files and X-ray size files. Made in America - Cardinal Bag Supplies products are crafted and shipped right here in the United States to ensure unbeatable craftsmanship you can rely on.